There are two tasks. 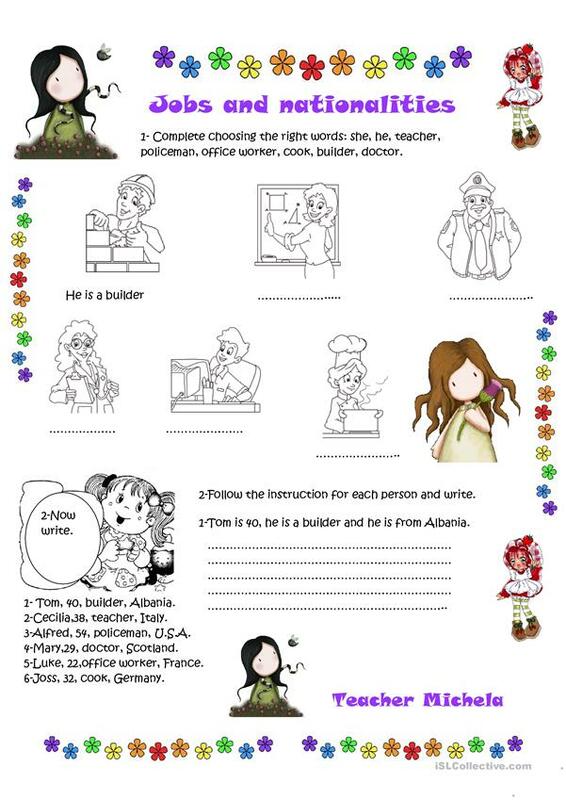 1- label the pictures writing sentences using the words given,2- write sentences using the informations given. You can add a speaking activity asking " what's Cecilia's job? or Where is Cecilia from? "I hope it can be useful. The present downloadable teaching material is intended for high school students, elementary school students and students with special educational needs, learning difficulties, e.g. dyslexia at Elementary (A1) and Pre-intermediate (A2) level. It is useful for developing your learners' Speaking, Reading and Writing skills. It is about the theme of Jobs, work.